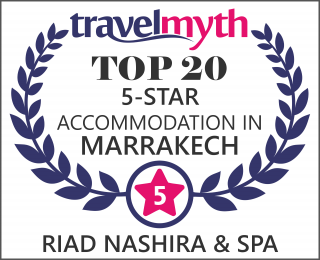 Surprise your partner at an authentic and luxurious Riad for a unique romantic experience at the Riad Nashira & Spa. A totally personalized service for a memorable stay for you and your partner. Experience your special moment and receive a bouquet of exclusive benefits. Moroccan welcome with tea and pastries. -15% on our spa treatments. Oriental couple private Hammam to make you live a memorable relaxing moments together.